The Danube Promenade is a beautiful esplanade in the bank of the Danube River in Budapest. The area is full of fascinating historic locations and landmarks, making it the perfect place to visit for those taking Budapest tours. The promenade offers stunning views across the Danube of the Buda Castle. Locals and those who visit Budapest like to spend time at the promenade to enjoy the fresh warm breeze, unique ambiance and sights of the river. The area includes several five star luxury hotels along with a host of cafes, casinos, bars, and even boat restaurants that sail the Danube. The promenade connects the storied Chain bridge and the more recently-constructed Elisabeth Bridge. 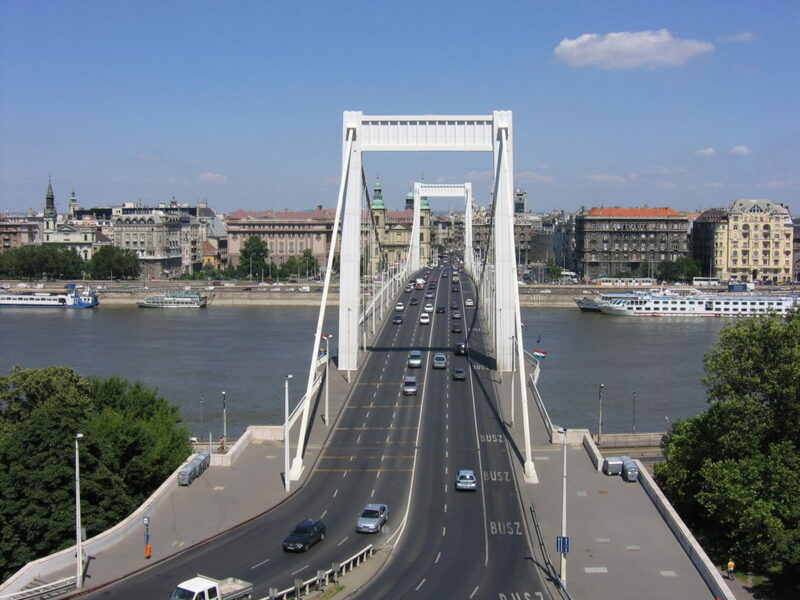 The Elisabeth Bridge connects Buda and Pest and is considered one of the most beautiful bridges in Budapest. The bridge was actually destroyed in World War 2 and was rebuilt using the original pillars with a new design. The bridge is white, which makes it stand out from the other bridges in the country. The Danube Promenade has been home to many crucial moments in Budapest history. It was a place where the upper class and the famous congregated on summer nights. Unfortunately, the promenade was devastated during World War 2. It was reconstructed in the ’70’s and has flourished ever since. A nice way to start the tour of the Danube Promenade is to visit the Inner City Parish Church. It is the oldest church in the area and is located next to Aquincum, the ruins of an ancient Roman city. The start of the promenade is across the street. At the start on the southern end of the promenade is a statue of Sándor Petőfi, a major figure in Budapest history. Sandor fought in the War of Independence in Transylvania and he sang the National Song on the first day of the 1848 Revolution. He disappeared in 1949 during the Battle of Segesvar. It is said he was trampled by horses beyond recognition, just as he had predicted in his poetry. Near the statue is the Cathedral of the Dormition, which was originally built in 1791. At the end of World War 2, there was a major dispute over who owned the church. Moscow claimed it following the war, but the Orthodox Church of Greece did their best to keep control. Many people visit Budapest to attend an event called the Dormition of Mary, which is held every August 28th. A little further north is Vigadó tér, a hotel fronted by a popular fountain with statues of children playing and the muses. The hotel is a perfect place to stay for those wishing to travel Budaest. The square was badly damaged during World War 2 and wasn’t reopened until 1980. The name translates to “having a ball”. Near the square, there are landings for those who wish to take cruises on the Danube. 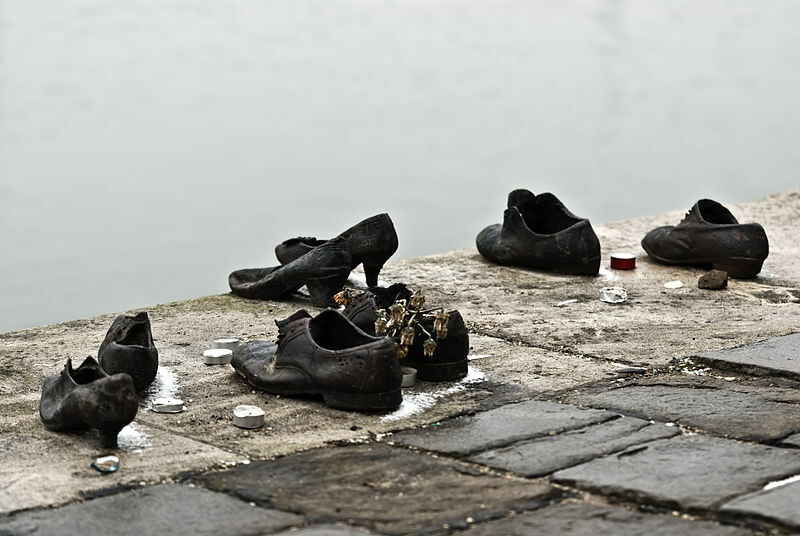 On the banks of the Danube River is a very touching and popular memorial known as The Shoes on the Danube Promenade. There are sixty pairs of shoes, made of iron and set into the concrete. These shoes are a tribute to the Hungarian Jews who were slain by Arrow Cross Militiamen in 1944, when the antisemitic group rampaged across the city killing thousands of Jews. The Jews were forced to remove their shoes (which had value at the time) before being shot. This is one of the most popular and poignant places among tourists who visit Budapest. The promenade comes to an end with another statue, this one of Eötvös József, and important figure in Budapest history. He was a writer who played a role in the revolt of 1848. Later, he became President of the Hungarian Academy where he emancipated the Jews and created the National Schools Act, which provided Hungary with a comprehensive education system. 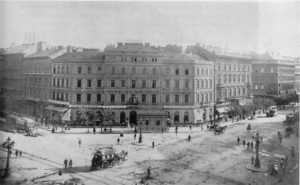 At the end of the promenade is Széchenyi István Square, where the Hungarian Academy of Sciences and the Four Seasons Hotel Gresham Palace are located. Those who travel Budaest like to take photos by the oldest tree in Budapest. The tree is held up by two poles and is said to be more than 150 years old. Visitors on Budapest tours looking to tour the promenade can take metro line 1 from Vörösmarty tér station, or take tram 2 from Margaret Bridge to the river bank until Boraros tér.